I stayed at Grand Hotel Kempinski in the beginning of November 2008 in connection with a short trip to Geneva. I booked the hotel in advance and paid about 2500 NOK (about 365$). I took the taxi from the airport to the hotel and that cost about 35 CHF and check in was quite fast and I got room 4460. It was easy to see that this is a pretty luxurious business hotel and the lobby area is quite vast and there were lots of shops selling good quality watches and there is even a huge cigar shop filled with Cuban cigars. Click on the link below to read the entire review. When I got into my room I was happy to find quite a large room awaiting me. 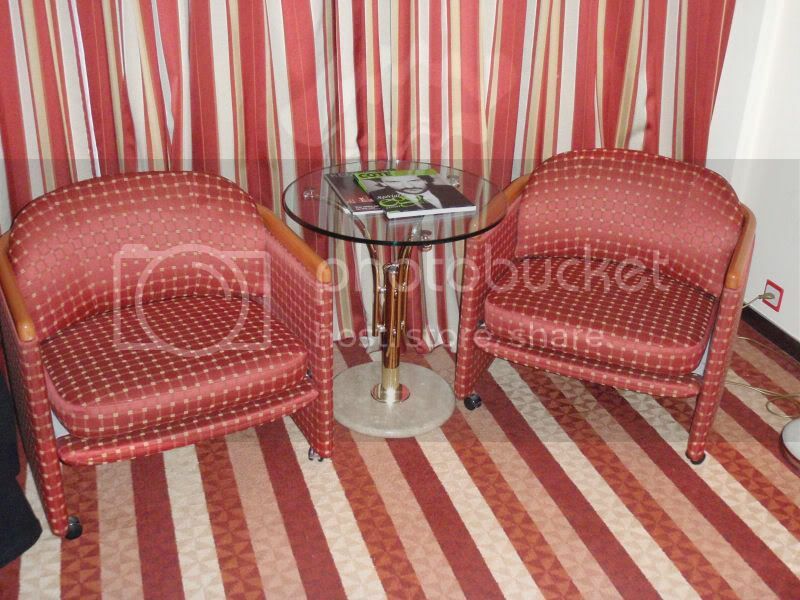 But it did look a bit outdated with the carpet in red, white and pinkish strips and curtain and chairs in matching colors. In the center of the room was a HUGE bed that was pretty comfortable and there were lots of pillows…6 of them all together. 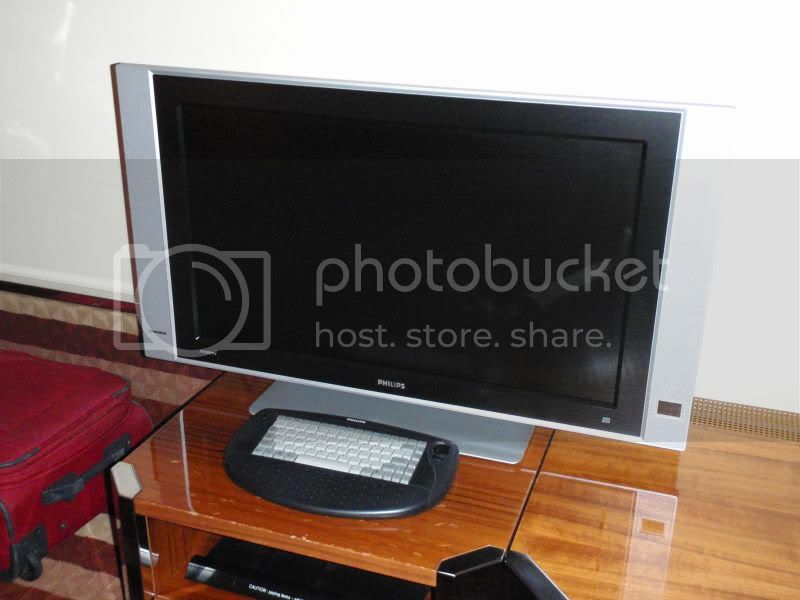 Apart from that I had a flat screen TV (that I was never figured out how to get started), furniture in dark wood, a minibar with various drinks in it and a pretty good size work desk. But I don’t think internet was free and when I inserted the cable into my laptop there was no life in the cable at all. Talking about outdated…the bathroom had a typical 70’s/80’s look to it. 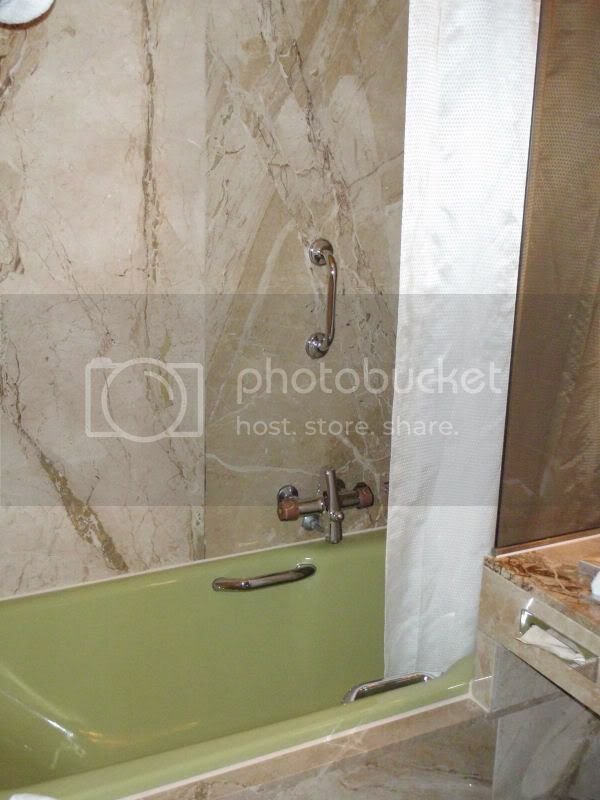 The walls were lined with some sort of rock looking tiles and with a green sink, green bathtub, green toilet and green bide. 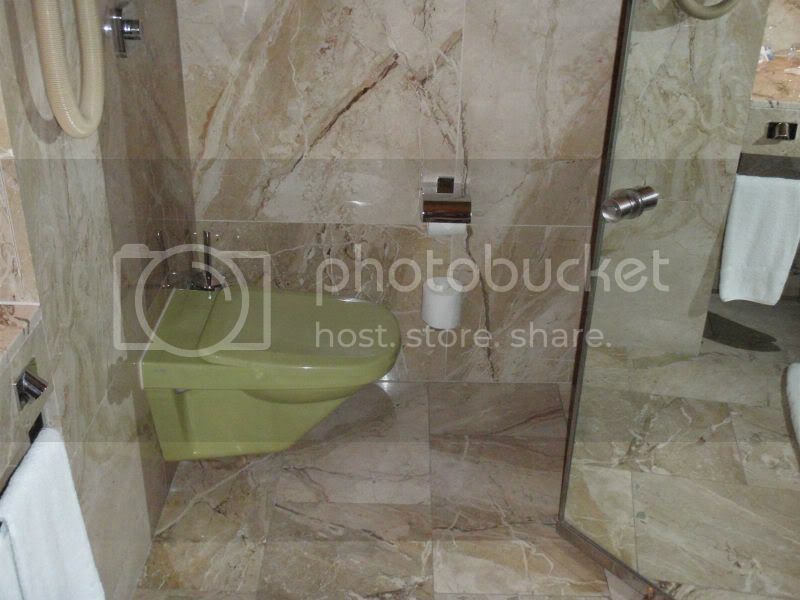 But all in all it was not as bad as it may sound The bathtub had a shower option with the use of a shower curtain…I always prefer to have a glass wall or something like that as I don’t like the shower curtain sticking to my back. Other things that are worth mentioning: there was a safe, robes, slippers and even some bars of Swiss chocolate on the pillows on the bed…but I have to say I prefer the Norwegian milk chocolate. 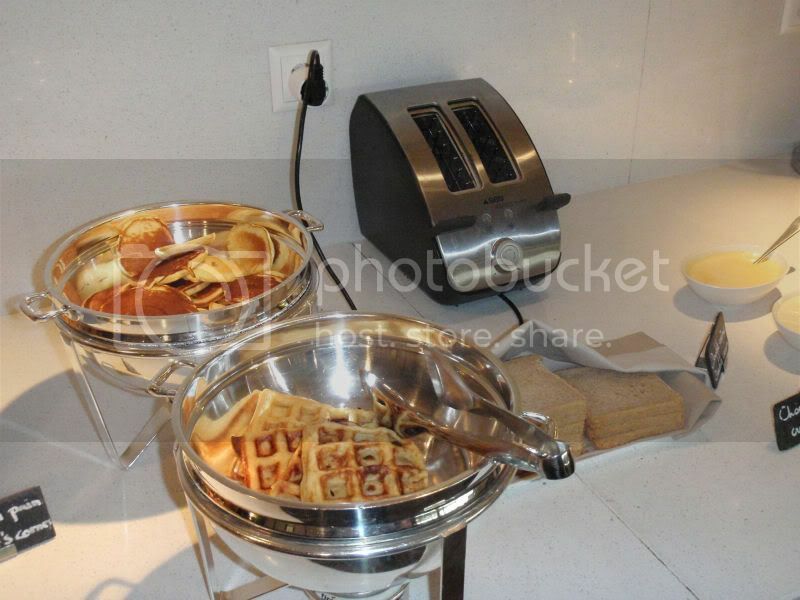 The breakfast was not included in my booking but I do of course think that it should be included for 365 USD. The breakfast was about 50 CHF (about 40 USD). But the breakfast was not bad at all…first of all you sit in the restaurant that faces the harbour area with the amazing fountain called Jet d’Eau (I guess water jet ). 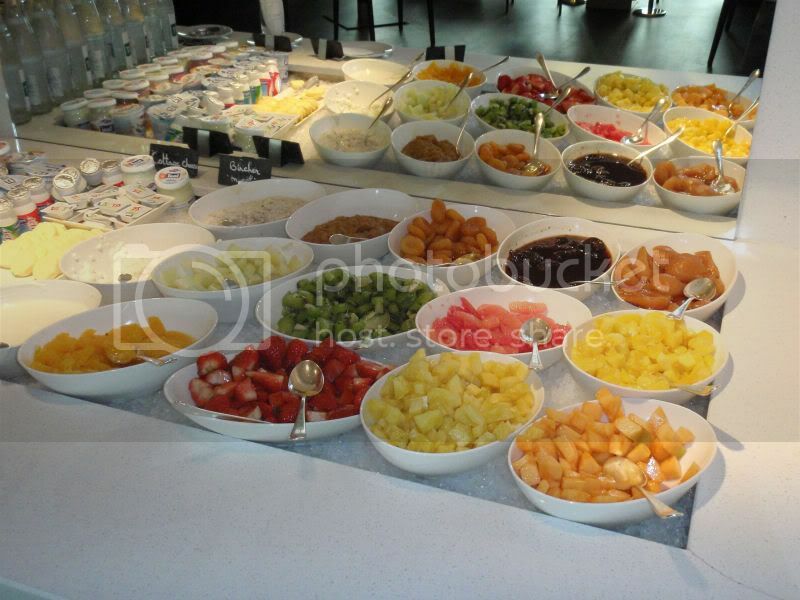 The breakfast buffet was very nice with a waiter making omelette on demand and there was also a nice selection of bacon, sausages etc. But I think the best part was the great selection of fruit both whole and in pieces. And when I took a bit of yellow coloured juice I was very surprised to find a banana-orange juice…I have never ever had that served in a hotel. They also had several other juice mixes. And of course there was also a nice selection of pastry and even waffles that had toppings like chocolate sauce and whipped cream. The location of the hotel is very good. Located on the harbour right across from Jet d’Eau it should be a great starting point for exploring Geneva. I only had one night in town so I never got to explore the city properly. 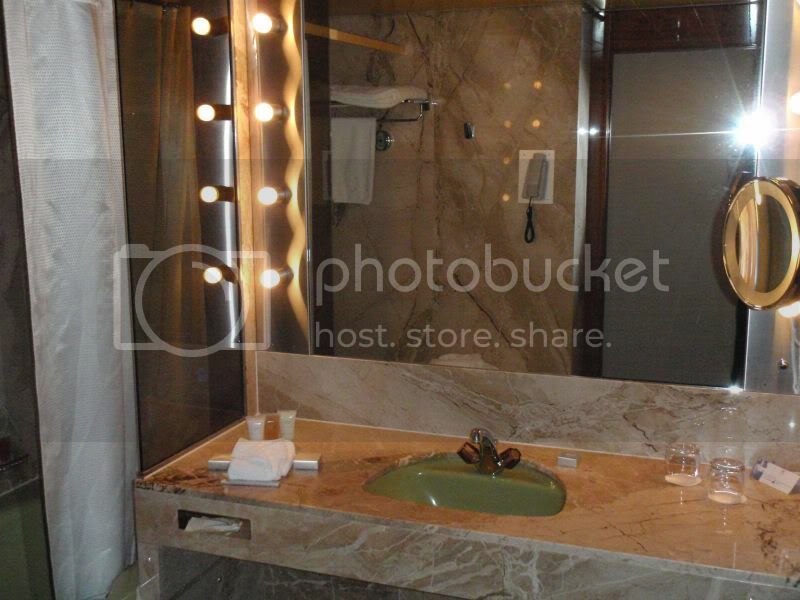 The Grand Hotel Kempinski is undoubtedly a quality business hotel. The room was large even if it was a bit outdated in my opinion. And it was a bit strange that TV and internet line was completely dead. As always I’m annoyed that you can’t get a free internet connection when staying at a nice hotel that is obviously used for conferences. As I only stayed there one night it is hard to evaluate the service compared to the price. The bed was very comfortable so I would have loved to stay there several nights. But I’m not sure I would have been willing to pay this much if I had been to Geneva on vacation. It was a nice hotel room…but not that nice.